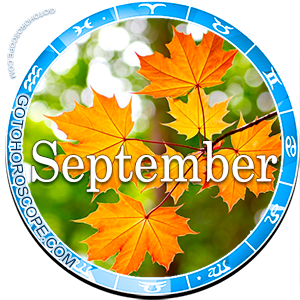 September 2015 Horoscope Gemini, free Monthly Horoscope for September 2015 and Gemini Astrology Forecast for the month ahead. The Gemini zodiac sign will go through a rather difficult time stage in September 2015, which is hard to describe as a clearly positive or a clearly negative one. On the one hand Saturn, which traditionally acts as a planet-exalt of Gemini, will dramatically and irrevocably change the modality of his energy emanations. As a result, the members of this sign will lose a significant portion of their astral support and the main tributary of their vital energy. This is a very negative thing that is complicated by the fact that Uranus, which has the current status of the "celestial leader" of the Air trigon, will be blocked by the emanations of the Moon. Therefore, the Gemini cannot count on this side for help. But not everything is so bad, because Mercury - the planet-ruler of this sign will retain its classical position and protect his charges from the negative influence of Jupiter, which is responsible for the expulsion of Gemini. At the same time, Venus, traditionally responsible for the fall of the leading sign of the Air trigon, will go over to the side of the representatives of this sign, so they will have a definite advantage over the circumstances in the field of personal relationships. The sphere of entrepreneurship and business for the zodiac sign of Gemini will be a neutral direction in September 2015, with most of the events that may occur depending entirely on you. In other words, the effect of the circumstances will be minimal, and your every action will have only the consequences that can be predicted objectively. The fact is that Mercury will fully expend its energy protecting you from Jupiter. This means that it makes no sense to rely on third-party support, although it would not be required anyway, since the focus in this area is the least negative one. The stars recommend that you be moderately active and do not try to squeeze out your maximum capacity in the current phase. You are not as strong as you would like to be, so do not rush to take the offensive, instead, first take care of a reliable defense. For those who have a business, this is a time of sustainable development, although in some instances you still have to try really hard not to get into some stupid and dangerous adventure. But it is enough to be careful and not to fall for easy money. Those who do not work for themselves will have a time that is a little more complicated, because their management will turn aggressive. The direction of personal relationships, feelings and emotions for the zodiac sign of Gemini will be a little more unusual than the working sphere in September 2015. 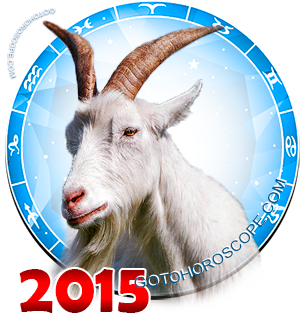 However, there will be much less positivity, in spite of the positive active emanations of Venus. The Priestess of Love will help you, but will you help yourself? Your feelings are very clear, but ambiguous. That is, you're likely to simultaneously seek several opposing things. However, you will not feel any confusion and this will be a major issue for the coming period. Whether you live a double life, spread around a lie, or wish to confess yourself by obliging a not so fair trial - it is an uneasy period. Fortunately, relationships with friends will develop as well as possible, especially with the most loyal and trusted friends. In them you can find real support. Will I pass RN exam this month or ever? will i get pregnant this year? Will I get married to Pedro next year? (1) Will I get married this year? (2) Will I get a new job/good position this year? I need my partner back. Will I get her back next month. ? What about education and examination results?